ing Arthur has Summoned You! Build castles, and watch your enemies crumble! Solo - Single player scenarios. Multiplayer - Find and join multiplayer games. Settings - Change game options here. Manual - View this manual. Wiki - View the Online Wiki. Chat - Chat with fellow KAG players in irc. olo - Single player tutorials and missions. A great place to start learning KAG. Basics and Building - A must for beginners! Here you will learn basic skills needed to play the game. Sandbox - A randomly generated landscape will be created and players will be given limitless resources to experiment with. Swordfight - The perfect place to hone your swordfighting skills. Computer controlled enemies will spawn in waves, continuously attacking the player. Capture The Flag - Steal the enemy flag to win! Each team has a tent where thier players and flag spawn. Class can be switched here. resupply. Tents cannot be destroyed. Carry an enemy flag here to score. “Unit Count”. When any player spawns, their team’s unit count will be reduced by one point. When the unit count reaches zero, players on that team can no longer spawn. oney, they say, makes the world go around and the world of King Arthur’s Gold is no different. Coins are awarded to a player for accomplishing various tasks such as building, mining, destruction, and of course, killing. Coins may then be spent on various things like arrows, bombs, and can even be used to replenish depleted hearts. Beware however, because upon death, a percentage of your coins will drop. Players will automatically retrieve any dropped coins they touch. esides coins, other resources and objects can be retrieved from the battlefield. Upon death, a player will drop all the resources they had. Players will automatically retrieve things associated with their class - knights pick up bombs, archers pick up arrows and builders pick up resources. Other items can also be retrieved manually by using the pickup / drop key as shown below. ertain structures and objects in King Arthur’s Gold can be interacted with. A radial menu is used to help the player understand their options. Other game mechanics use this system as well, including the quick-chat, and emote menus. Below, a player is shown changing class from a knight to a builder. nights are the King’s most hardened warriors. Relentless, they train their bodies to become an unstoppable force of metal and will-power. With sword & shield, these units excel at dealing massive blows to both flesh and bone, as well as creating a strong defense from incoming attacks. What’s perhaps most intimidating about these units is that recently, the King has provisioned these units with a new technology best described as ‘explosive’. rchers are masters of ranged combat. These units often come from a heritage of woodsman and survivalists who hail from the outskirts of the kingdom. This has taught them to be extremely resourceful on the battlefield, often crafting make-shift arrows from, and even hiding in, the woods they once called home. While extremely effective when deployed in groups, showering the battlefield with arrows, it’s also possible that a single sharp-shooter can fell several enemies before they even catch a glimpse of their attacker. uilders are the backbone of the kingdom. The role of these units is threefold; digging, gathering, and construction. What these peasants turned specialists may lack in combat ability, they more than make up for with hard work and perseverance. While some builders might enjoy mining and construction away from the battle, their ability to create paths and efficiently demolish enemy buildings on front line cannot be ignored. Interestingly, these units have developed an ability to find materials that are hidden deep within the earth that other units remain oblivious to. 50 Arrow workshops create arrows. Each arrow costs 1 coin, by default. Purchased in groups of 10 if possible. 50 Bomb workshops create bombs. Each bomb costs 20 coins, by default. 50 Quarters replenish depleted hearts. Simply stand still to slowly regenerate. 2 coins per half heart, by default. 50 Siege workshops are used to create siege equipment that can be used in battle. The types of equipment are described below. 120 Outposts act as a secondary respawn point. Class canbe switched here. These can be effectively ‘stolen’ by an enemy unit if not defended. Can be carried. 120 Catapults provide a means of long range demolition. They can be carried. Must be loaded with ammo before firing. 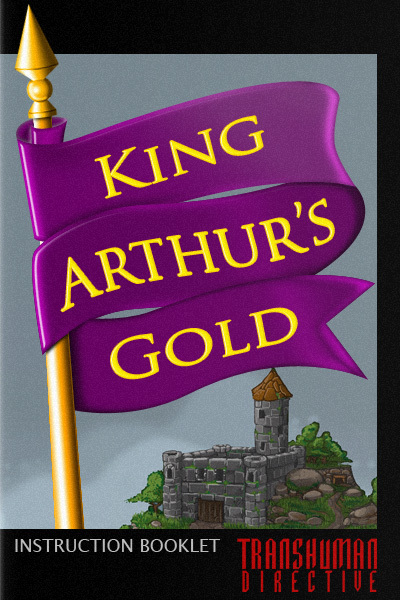 he world of King Arthur’s Gold is filled with endless possibilities. The following pages will show you a few of the things that are possible. Exclusive servers for premium members. King Arthur’s Gold has a rich history of frequent updates that add new features and keep the game fresh. Premium accounts will eventually have access to special features not available to other players. This may include, but is not limited to: New game-types, New structures, Item system, Day/Night cycle, New Classes, Animals, Avatar Customization, and more! Stay tuned to Kag2d.com for the latest developments!